be patient with my pages. I don't even know where to begin. I signed up for Brooke's workshop as soon as she announced she was having one in Utah. I met her several years ago when she came to present to a group of photographers out here in the Basin. (I'll include one of my favorite photos of my family ever that she took for us at the bottom of this post). I fell in love with her work and was fascinated to learn about how she produced the images that she did. She puts a piece of her heart and soul into her work and you can totally see it. I had been on the verge of quitting photography. I had reached a major point of burnout but seeing the images Brooke produces and hearing about her process and how she created what she did lit a fire in me. I came away from her workshop inspired and driven to create work that spoke to me, that came from my heart. Work that was an extension of who I was inside. Photography is such a journey and the growth that comes from it can often be painful, but it is an awesome journey. I was able to watch Brooke pose this couple and shoot them. I mostly stood by and watched, snuck a few shots and did a couple of my own poses, but not very many because I felt SUPER intimidated. There were some other killer photographers who also jumped in on posing. I can't say enough good things. 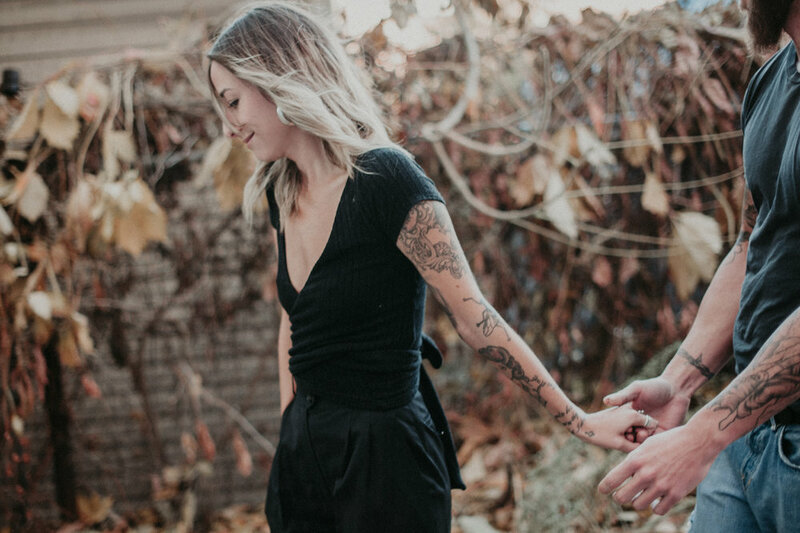 And this couple--from the tattoos to the vintage dress that belonged to Whit's grandma--were a dream to photograph, and they were so cute together. These guys were awesome. Check out Brooke's work HERE. Beware, once you get started you will not be able to stop admiring her work. Seriously she is the freaking bomb.